You know that saying, “There’s an app for that!”? That’s generally how I feel about essential oils. You have a problem? There’s bound to be an essential oil for that. I discovered the oily world a few years ago when I started making my own skin care. I’ve never had bad skin, but I’ve never had great skin either. It had always been dull and extra acne prone before and during my period each month. My allergies prevented me from using a lot of products that I could buy in the store and the other natural ones were just too expensive. That led to me discovering the world of DIY skincare blogs (like this one, it’s becoming an epidemic). I realized there were a few basic oils that were great all-purpose ones to start with and I didn’t need to buy the whole world of oils. I thought, what the heck, it can’t hurt to try it. And guys, it works. You need to pay attention to your skin and body and take the time to find what works best for you, but the results are wonderful. Essential oils are ultra-concentrated versions of the natural oils found in plants. They are usually acquired through distillation. The end product contains all the plant’s healing properties and benefits. They are wonderful to help support physical, mental and emotional health. Essential oils are volatile aromatic compounds. This simply means that they can switch quickly from solid to liquid to gas states at room temperature. This makes them especially wonderful for aromatherapy. But, because they are sensitive, it’s best to keep them in dark bottles to minimize the amount of sunlight they’re exposed to. I love all the health benefits in essential oils and how there is such a large variety of benefits. I use essential oils to support and maintain my health. I’m not a fan of going to the doctor for everything. Don’t get me wrong, I believe that western medicine has its place and is useful and necessary for many things. But, I think we can prevent a lot of things by maintaining and supporting our general health and immune system. General health stuff aside, essential oils pack a major kick for amazingly healthy skin. Once you try them you’ll realize the hype of the whole oily life craze. Welcome to the oily side, sorry, not sorry. When buying essential oils, you want to be really careful that you’re getting a good quality. This is not something that you want to skimp on. Quality essential oils will have all the great health benefits, low quality ones won’t. There are so many versions out there and so many of them are a really low quality. I use the brand Young Living and highly recommend it. They have some of the purest (if not the most pure) essential oils in the world. I’ve also heard that doTERRA is a great brand as well, but haven’t tried it. Frankincense – Helps with pigmentation and tones/tightens skin. It’s great for all skin types. It has antibacterial and anti-inflammatory benefits, which make it wonderful for acne-prone skin. It’s also a natural toner and encourages new cell growth, making it great for mature skin and anti-aging. Geranium – This is a wonderful multipurpose oil for your skin. It balances oil production which helps to prevent acne. It’s a strong astringent and has lots of antioxidants to encourage cell turnover. This tightens the skin and helps to reduce the appearance of wrinkles. It also helps to promote blood circulation wherever it’s applied. This promotes healing in your skin, whether it’s a cut, bruise, eczema, or any other skin condition. Grapefruit – Great for dull skin and also helps to boost your energy and focus. It’s anti-inflammatory and high in oxidants which help to reduce signs of aging. It helps to remove toxins and can also help with allergies and supporting the immune system. Lavender – You’ll find lavender in almost everyone’s collection. It’s a wonderful oil that’s great for all skin types. It helps to reduce redness/itchiness as well as promote healing to skin irritations, spots, scars and acne. It’s also a wonderful oil for mature skin since it helps to promote regeneration in skin cells. It’s super soothing for dry and damaged skin making it a wonderful addition to face serums. Myrrh – Myrrh is wonderful for mature or dry skin. Its properties can help tone and firm the skin and improve its elasticity. It promotes cell regeneration so it also helps to reduce the appearance of fine lines and wrinkles. This can also help heal eczema, sun damage or chapped lips. Patchouli – This oil is especially good for mature and acne-prone skin. It helps to promote cell growth which minimizes the appearance of wrinkles. It soothes inflammation and irritation. It’s antiseptic, anti-fungal and antibacterial properties help with acne, eczema and other similar skin conditions. It’s also used to help deodorize and you’ll likely find it in a lot of natural deodorants. Rose – This might be one of the most expensive oils out there, but it is incredibly amazing for your skin, especially dry and aging skin. It has many properties that help improve the texture of the skin and tone it. It’s antimicrobial and anti-inflammatory properties make it wonderful for many different skin conditions. Rosemary – This oil is great for both the hair and scalp as well as your skin. Its antibacterial and anti-inflammatory properties help to reduce skin irritation and heal blemishes. It’s also great for anti aging and helping to improve the skin tone. Tea Tree – You might have heard of this oil for it’s ability to help with acne-prone skin and wounds. This is due to its strong antibacterial properties that help minimize the bacteria that causes acne and helps to heal wounds. Ylang Ylang – This is a wonderful essential oil for every skin type and is super soothing. It’s great for treating oily or acne-prone skin because it helps to control oil production that can lead to breakouts. It also stimulates cell growth which helps to reduce the appearance of wrinkles. Essential oils should be diluted. Very few can be safely used “neat” on the skin. You should usually dilute essential oils in a carrier oil to a maximum of 5% EO. Although 2-3% is recommended for most adults for daily use. Here’s a chart to help you figure out how much to use. Do a patch test. Always test the essential oil before using in products for your skin to make sure you don’t react to it. The inner forearm is similar in sensitivity to the skin on your face, so that’s a great place to test before putting something all over your face. Be aware that skin irritations are rare but if you have any kind of side effect, reduce the use of the oils or take a break. It’s most likely due to your body detoxing, but everyone’s body is different and you could have an intolerance to something. Lavender – even though I have to be careful to not use this in the evening (I’m weird and it keeps me up rather than helping to relax me), it’s a wonderful oil for my skin and I love to use it in lotions and face serums. Frankincense – this is one of my favorite oils to use for my face. I feel like it does everything and is one of my favorite go-to all-purpose skin oils. Grapefruit – I just love the smell of this one. It’s also great for the skin and I use it in my face serum. My favorite way to use it is to add a drop into my diffuser necklace and it keeps me focused and in a better mood all day. Peppermint – This oil is such a heavy lifter. I love it for all the reasons I described above in this post. The fact that it’s uses are so broad make it an excellent go-to oil. 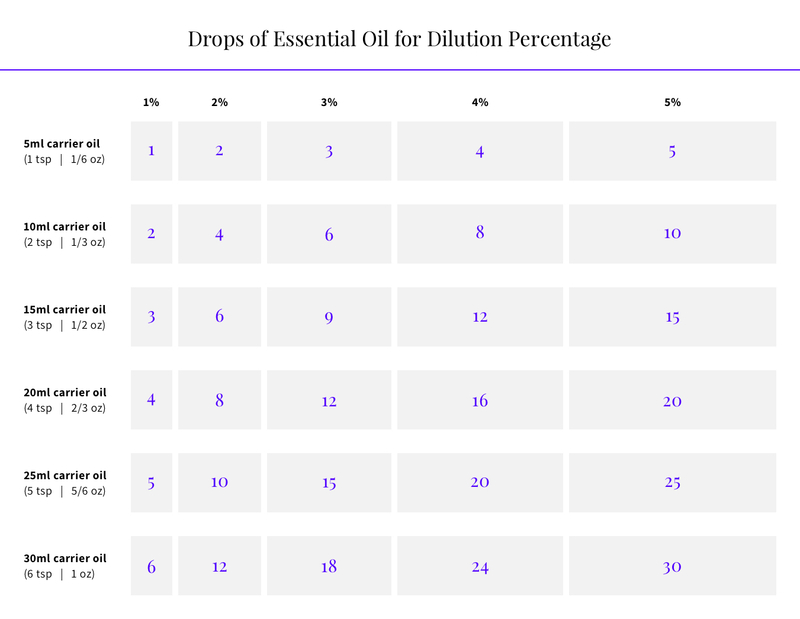 RC – this is an oil blend from Young Living. It’s incredible for diffusing when you’re sick and having sinus trouble. It’s really a life saver at bedtime. Thieves – Another blend from Young Living. It’s 5 different essential oils blended together that majorly support the immune system. I use it whenever I travel or whenever everyone around me starts getting sick. It really works. Best part? It smells like Christmas (thank you clove and cinnamon). Purification – I think if I had to pick only one oil to use for the rest of my life, it would be this one. I’m obsessed. It’s another blend from Young Living and does pretty much exactly what it’s called. It purifies. Bad smell? Diffuse this. Musty room? Diffuse this. Kitchen compost bin reeking havoc? Add a few drops to a cotton ball and toss it under the sink with the bin. Smell no more. It’s also wonderful to use on your skin since it helps to cleanse and purify that as well. Seriously, the best.